ANGLER'S MAIL editor Tim Knight was lucky enough to view new releases from Nash, set to hit the shops in the months ahead (before and after Christmas). They were shown to the press at Nash HQ in Essex... and here are some bonus photos! NR Toro is the name of the very latest top end rods from Nash, for when distance and accuracy is important. All black, this set of six has an armoured Toray 1K weave and Japanese Mistubishi 40T carbon, with light SS Minima rings. Full RRPs will start at £269.99 when they hit the shops late this year. 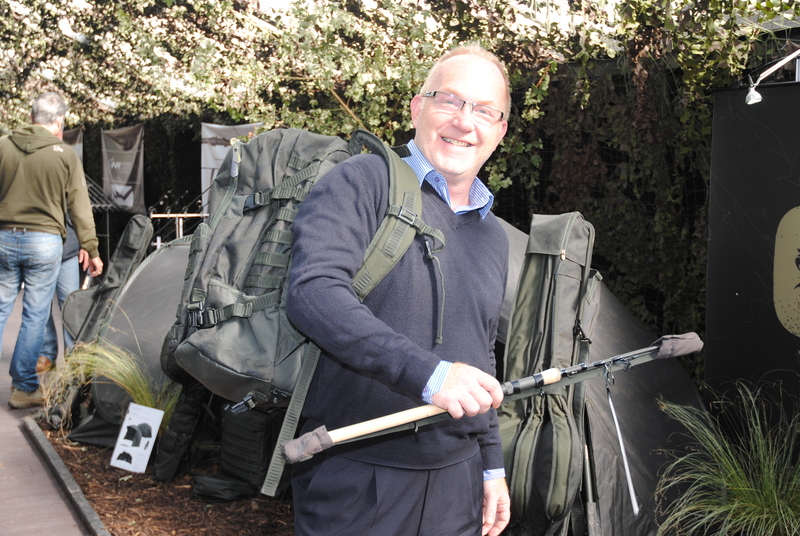 Grab ‘n’ go carp fishing moves ahead further with the latest rods and luggage – and more new kit under the Scope label, first revealed by Angler’s Mail three years ago. This is ultra compact fishing! As reported in full in Anglers’s Mail magazine, the OPS label is the hit new one – more details in the mag soon! Nash have long had a strong reputation for chairs and the wide array of new Indulgence models is set to take the brand forward, with comfort and lightness. 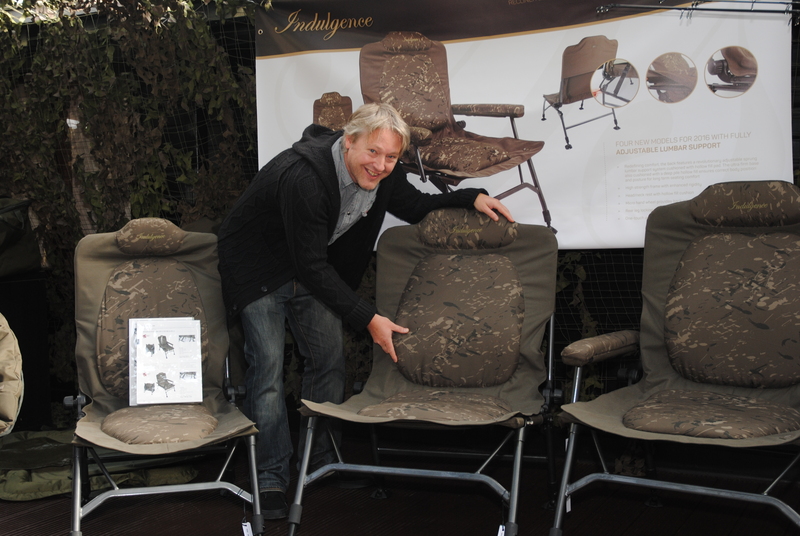 Prices range from £93.99 full RRP – find out more in Angler’s Mail are time of release. In-store videos to explain what everything does! 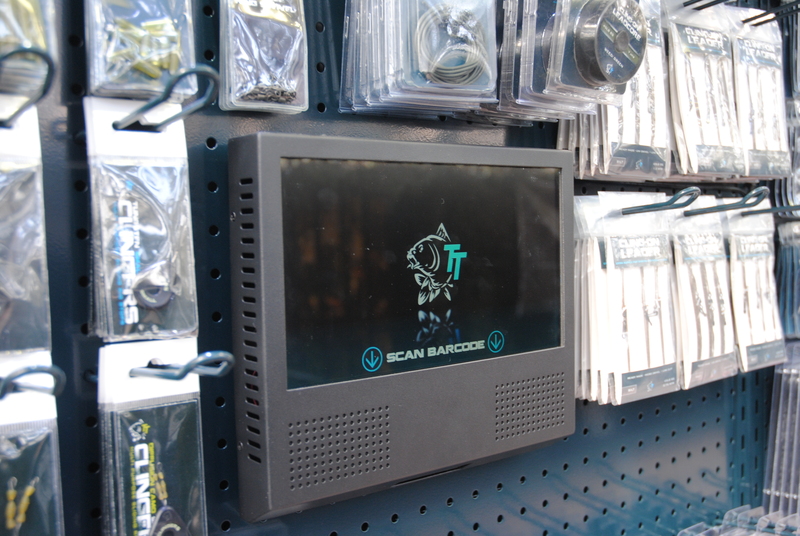 Look out for these small screens at Nash stockists soon. 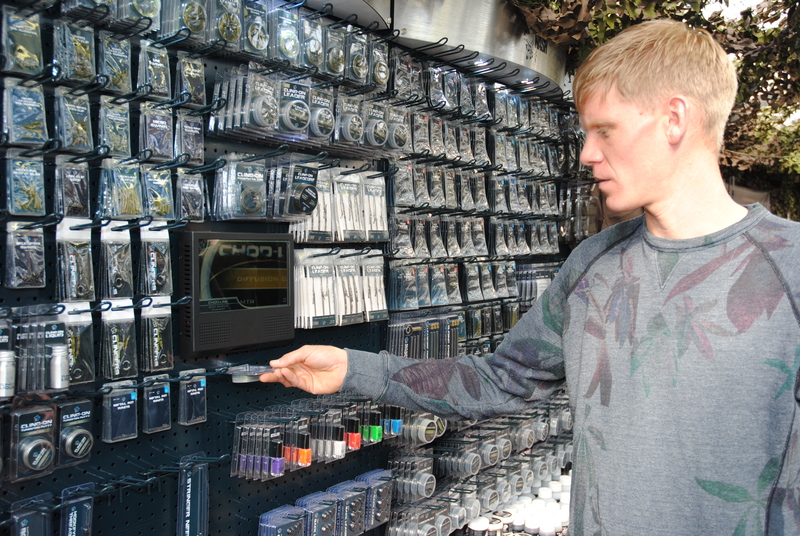 Built into their display boards of a huge range of carp terminal tackle, the innovative display units provide short instructional videos explaining each product. The playback, seen above demonstrated by Nash’s Alan Blair, is activitated by you scanning a barcode – pick up a product packet and wave it under the scanner…and bingo! 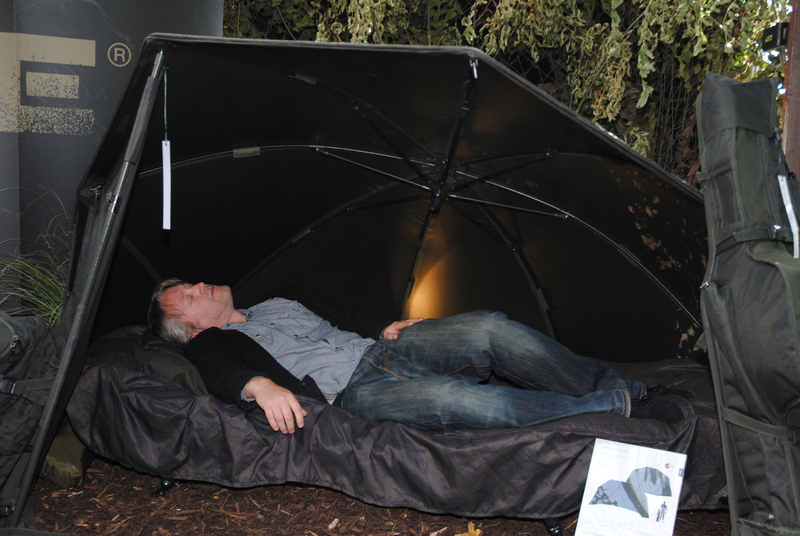 The end of the year will see two ultra light brollies in the Scope Black OPS range, both packing down to just 44 inches – the same length as a 9 ft Scope rod! A shelter (shown in Angler’s Mail) is also on the way – a real hottie! Read Angler’s Mail magazine every week for best product coverage and out views on kit – as and when it actually comes out!